You know how sometimes when you read a recipe you can just tell it’s going to be awesome? & I did & they were. These are good. Really good. 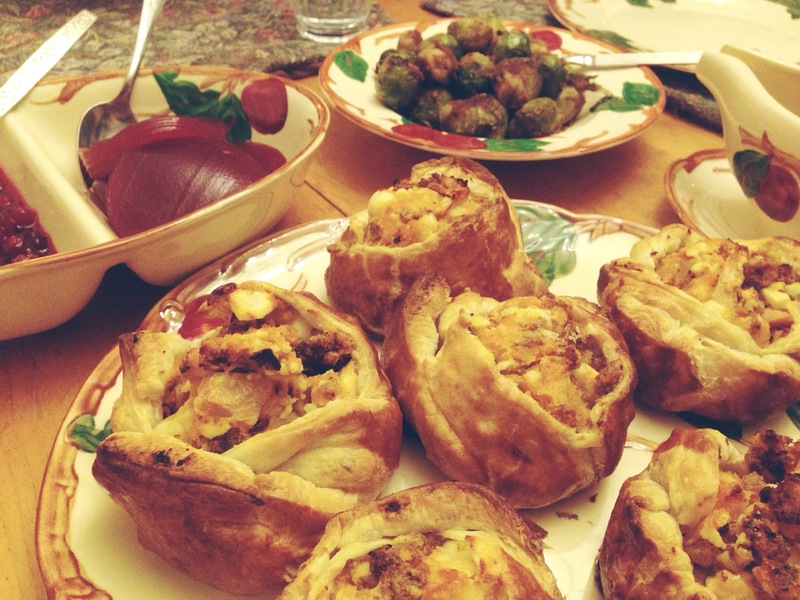 They’re my new favorite way to consume thanksgiving leftovers. They’re also infinitely easier to make than they look—it only takes slightly more effort to make these than the standard thanksgiving leftover sandwich. If you’ve never worked with puff pastry dough before, don’t fret. The frozen stuff from the store is super easy to work with. 2. In a bowl, combine the first four ingredients. Stir well. 3. On a well-floured surface, roll out puff pastry to a 16″x8″ rectangle. Cut into 6 squares. 4. Place a healing 1/2 cup of the leftover mix in the center of each square. 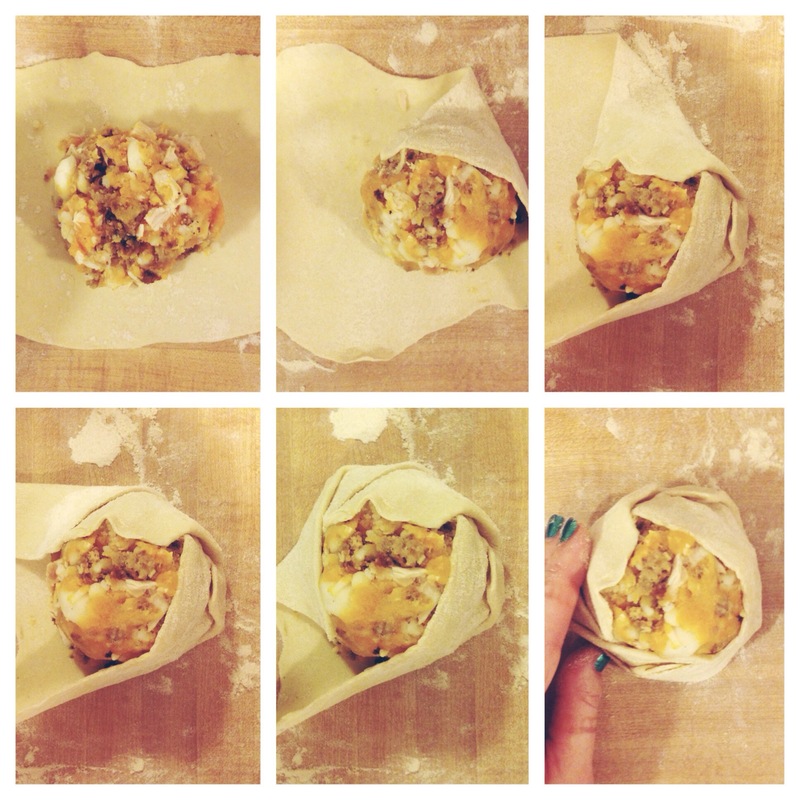 Carefully fold the dough edges towards center, leaving about 1/2″ of the leftover mix exposed on top. Transfer to baking sheet. 5. In a small bowl, beat the egg & milk/cream. Liberally brush the outside of each knish with the egg mix. 6. Bake the knishes for 25-30 minutes, or until deep golden brown. Serve with gravy & cranberry sauce. I served them with Mark Bittman’s Brussel Sprouts, another excellent recipe I’ll have to cover another time. Posted on November 29, 2014 November 29, 2014 by nora temple	This entry was posted in food and tagged food, leftovers, recipe, recipes, thanksgiving, turkey. Bookmark the permalink.